Stratford High Street has seen extensive regeneration over the last decade, with numerous high density residential schemes having come forward. In one sense, it has become a victim of its own success. However, is a great location next to the Olympic Park and close to Stratford town centre and Westfield. 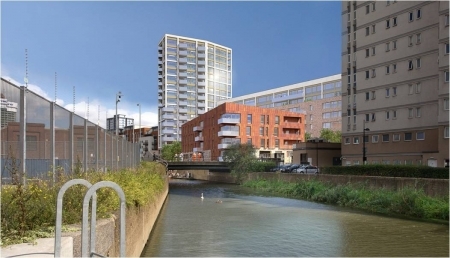 CMA Planning were asked by the owners to secure permission for a redevelopment of this key site located at one of the entrances to the Olympic Park overlooking the Bow Back River. After coordinating an architectural competition, CMA worked to deliver a scheme that would deliver units and maximize value, but in a more successful manner than some of the earlier schemes in the area. 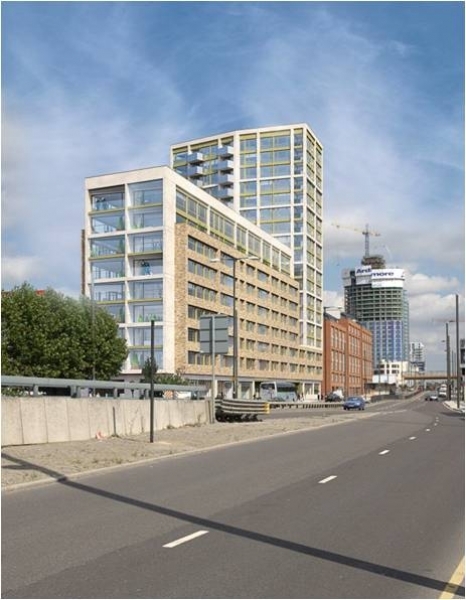 Whilst the resulting proposal is still high density at 1217 hrph and 18 storeys, it is more modest than some nearby, and as such, more deliverable as well. Residential quality was also a key consideration, with all flats meeting space and amenity standards with dual aspect units maximized. 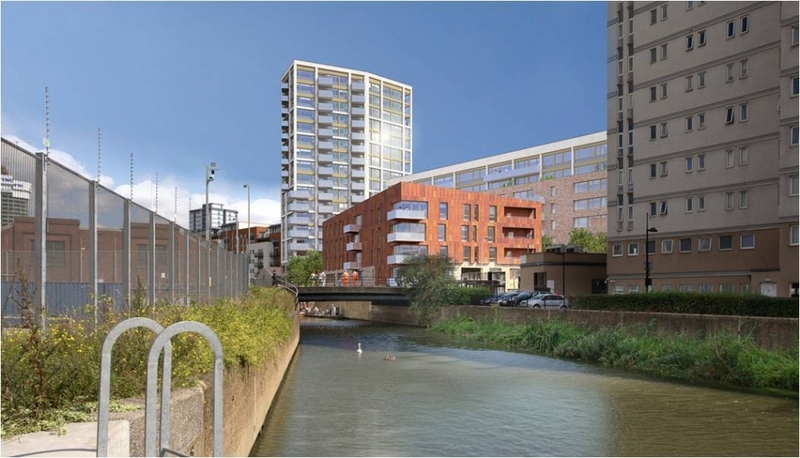 CMA Planning advised on the approach and planning strategy from conception and throughout the process, project managing the application process and securing approval from the Olympic Delivery Authority (now the LLDC) in March 2012.